Fill out our simple form and get quotes from local party bus companies. Ideal for hen parties and special birthdays, party bus hire will make sure the guest of honour and their party arrive in style. Discover your options by simply submitting a quote request to suppliers in your area. We are an events company with vast experience in making sure your event is one to remember We have lots to offer so you're sure to find something that is of interest to you. We offers affordable party buses across the UK. Swift Travel Services are a party bus company in Essex with over 15 years experience in the industry. Making customers happy is their main aim and with an assortment of different party buses for hire, they can provide something for everyone. For us to provide a quote we need event date, pick up time, return time, how many passengers, pick up address and drop off address. With this information we can plan your event and offer you the best price possible. We will also provide details of what we offer on board. I would check that the supplier has good reviews both on Add to Event and social media. Always expect the supplier to offer advice on your time schedule - you need to make sure you will arrive on time. Have a look on the supplier's website to check out the quality of the vehicles. Steve started the business because of his love of driving. 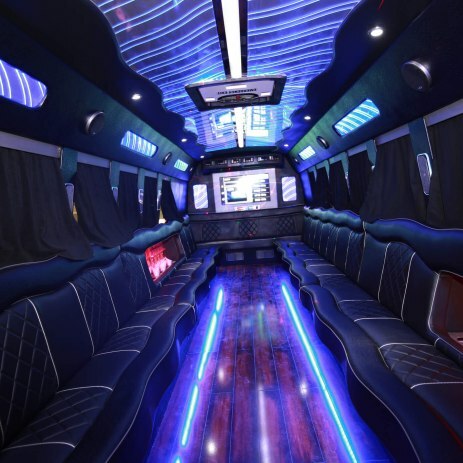 We started with limousines and decided to modernise and offer party buses to our client. We have now evolved to 5 party buses and are still growing!!! We get great satisfaction on using the latest technology and designing new buses. These have more gadgets inside and customers can stand and move around - particularly whilst singing on karaoke!!! We keep our vehicles looking fresh - always updating the party buses. This is our main source of income. The volume of quotes is incredibly high and the success of turning a quote into a booking is also very high. Add to Event continually evolve - they seek feedback and make changes that complement our business. I am always amazed at the volume of work!!! Love getting feedback from customers - we like going the extra mile and when the customers notice and appreciate its what we like to hear. 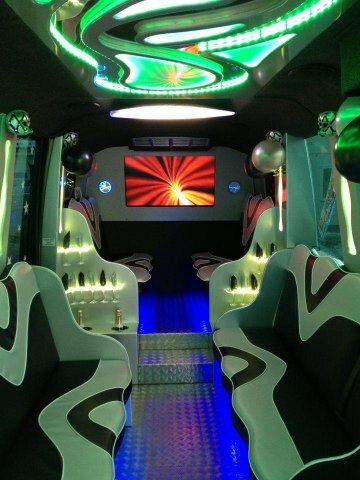 Turn the journey to your destination into a party with party bus hire. Get everyone in the spirit, whether it’s a kid’s party bus, wedding bus hire or a birthday or hen party with the girls, there’s a great range of suppliers who’ll either provide the party for you or transport you to your destination. Double decker party bus hire is a fun option, providing more space for more guests and all party bus suppliers will offer a whole host of on board games, music and entertainment to keep everyone happy. Add to Event’s simple quote request form will provide you with quotes and details from all suitable party bus hire suppliers in your area.